The tenth generation Honda Civic is launching in India early next year. It is the facelifted version of the car that was showcased at the 2018 Auto Expo. However, before it is launched here, the company has put it on display at the 2018 Thai Motor Expo. Moreover, other than this, the carmaker has even showcased a modified version that is equipped with the Modulo body kit. 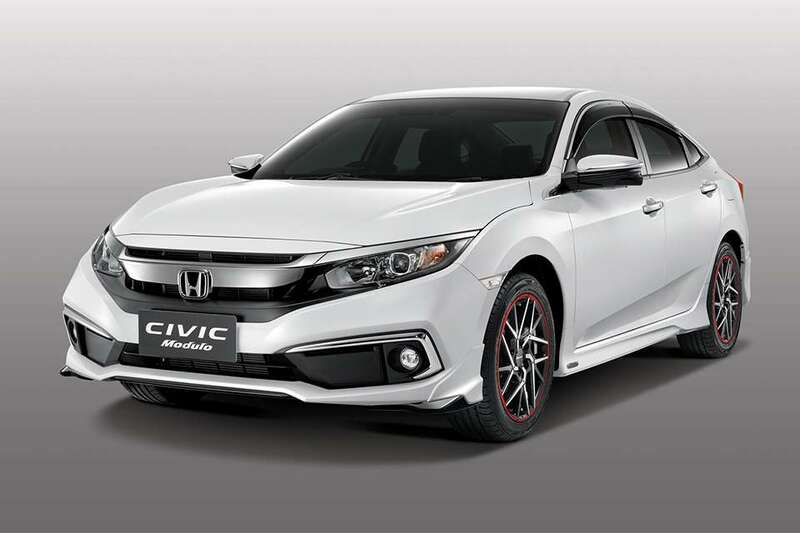 As is the norm with the Modulo body kit-equipped Honda cars, the Honda Civic showcased in Thailand has a sporty body kit that enhances the overall looks of the vehicle. There are three Modulo packages to choose from- Aero Sport, Aero, and Smart. The Aero version is the base for the other kits as well. The body kit includes a front bumper diffuser in a gloss black finish, sporty elements at the corner of the front and rear bumpers, side skirts, and a new set of alloy wheels. The Smart package gets all the styling features of the Aero kit, but the main difference arises out of the addition of a small boot lid lip spoiler. The Aero Sport kit gets a bigger spoiler for the bootlid instead of the lip spoiler. One can also choose from a multiple alloy wheel designs. 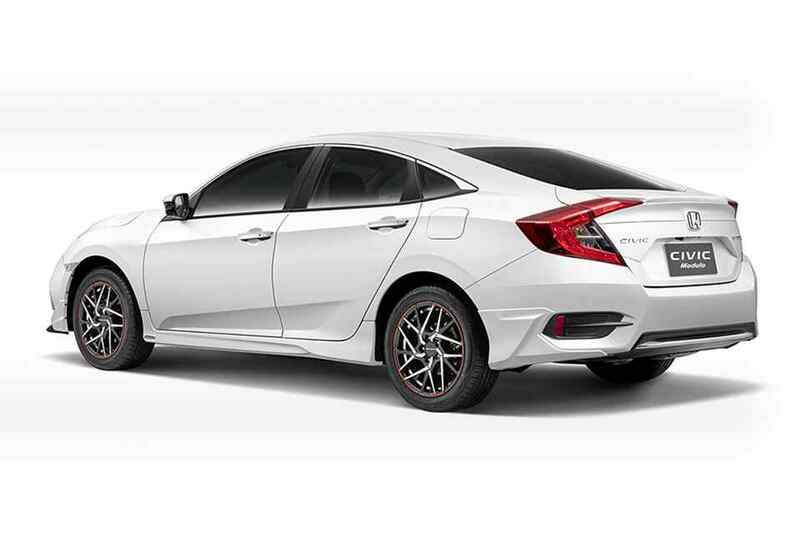 On the inside, the Honda Civic can be equipped with illuminated or non-illuminated scuff lates. The interior of the new Civic also gets a sporty leather-wrapped gear knob, sport pedals, heavy-duty rubber mats, auto-dimming rearview mirror, trunk tray, dashcam, and even a Modulo-branded child seat. The Modulo package can be added to any of the engine variants of the Thailand-spec Honda Civic, which include the 1.8-litre naturally aspirated petrol engine and the 1.5-litre turbocharged petrol engine. In India, the new Honda Civic will be sold with the 1.8-litre motor and a 1.6-litre turbocharged diesel engine that can also be found on the latest Honda CR-V. Its prices are expected to start at Rs 16 lakh.